This is not the era of being discovered. Now is the time to for choosing yourself.… to discover what ignites you and invokes your creativity. This is also the time in history when you have the freedom of opportunity to choose yourself. 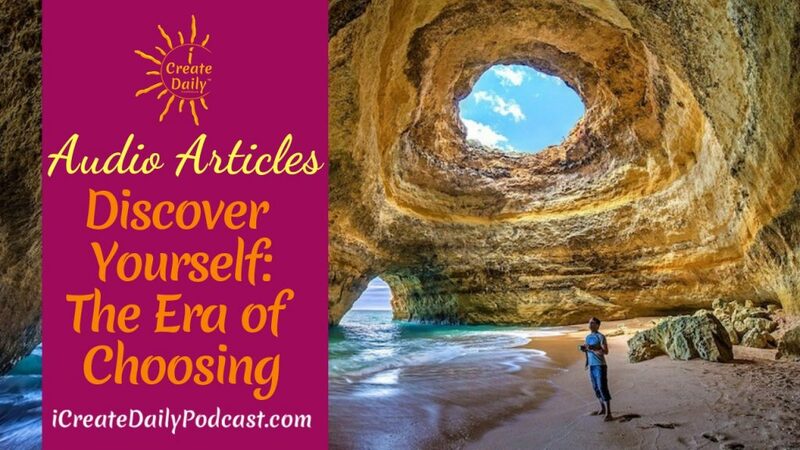 We first heard the term “Choose Yourself” from the book of that name by James Altucher. His entire book is about this concept, as is another one of our favorite books by thought leader Seth Godin’s in his uniquely engaging book, “What to do When it’s Your Turn…” It just makes sense. Choose to create your own platform and audience. Do the hard work and bring your craft to the world… keep bringing it… and keep on bringing it. Don’t wait to be discovered. Discover yourself! The middle man is missing. Your dreams are in your hands. There’s no gatekeeper stopping you. Let us know what you’re working on… your gains and your struggles. Yes, you will have to work hard. But… aren’t your dreams worth it? Create the life you want to live, one day at a time.